5. Protection of your sales area, ideas of design and all your private information. our plesure to offer the good solution and expecting the nice discuss on your good idea. Q5) How can I place order9 You can contact us by email about your order details, or place order on line. 1 YRS Shenzhen Apex Artcrafts Co., Ltd. 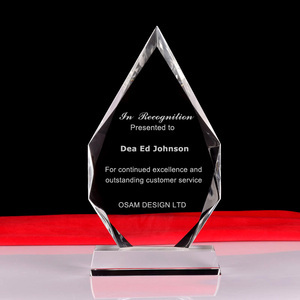 Elegant custom lucite acrylic award stand desktop Perspex blank trophy shield with logo engrave Acrylic award Perspex trophy Blank trophy shield Name Elegant custom lucite acrylic award stand desktop Perspex blank trophy shield with logo engrave Color Clear or customized Material Acrylic,lucite,Perspex Delivery term FOB CIF EXW etc sample time 3-7days production time 20days OEM/ODM Available and welcome Price Contact us to get it(We are the acrylic craft product manufacturers,cheap price) Delivery term FOB CIF EXW etc Payment term 40% T/T, Western Union in advance, the balance will be paid before shipping. 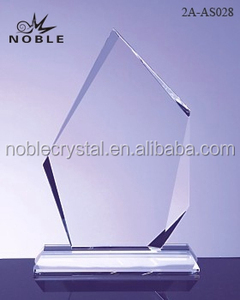 Packing Safety package or as your request Advantages 1.ten years of production experience 2.Large-scale production line ,high supply abillty 3.Cheap price and never influence the quality Main product Acrylic Lectern,Acrylic Menu Holder & Sign Holder,Acrylic Photo Frame,Acrylic Displays,Acrylic Boxes, Acrylic Furniture. Please contact us for more information. 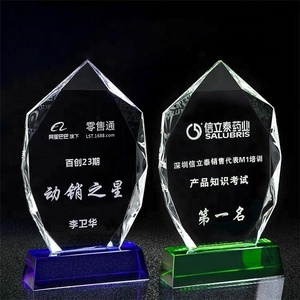 Alibaba.com offers 3,002 award shield products. About 26% of these are metal crafts, 1% are sculptures. 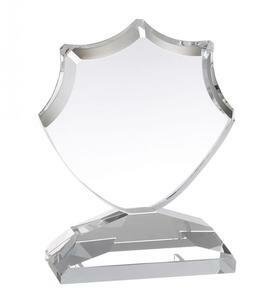 A wide variety of award shield options are available to you, such as medal, badge & emblem, and trophy. 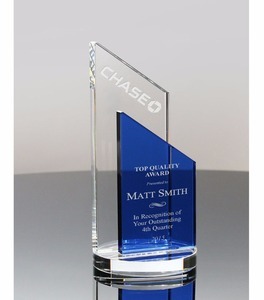 You can also choose from art & collectible, souvenir, and business gift. As well as from sports, patriotism, and tv & movie character. And whether award shield is antique imitation, folk art, or religious. 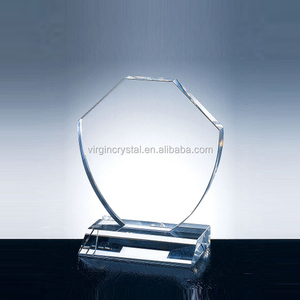 There are 3,002 award shield suppliers, mainly located in Asia. 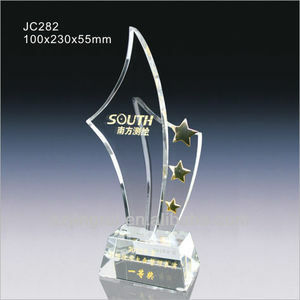 The top supplying country is China (Mainland), which supply 100% of award shield respectively. 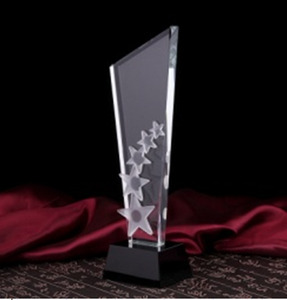 Award shield products are most popular in North America, Mid East, and Western Europe.